The F800 is the newest camera from Thinkware and offers top of the range capabilities. The F800 Pro also incorporates the new ‘Super Night Vision 2.0’, a night image correction feature in addition to built-in GPS and ‘Safety Camera Alerts’. Additionally, there is a lower current drain on the F800 and an optional external GPS. The F800 Pro features a 1080p Full HD front-facing camera and an optional 1080p Full HD rear-facing camera. The super capacitor ensures durable quality without having swelling issues under any weather conditions. It also continues recording during an accident. The GPS signal receiver keeps track of your vehicle’s physical location as well as driving speed while it is on the road. During playback of the videos, Google Maps appear on the PC viewer screen along with the GPS information to help you trace your route and speed. With the built-in parking mode, (hardwire version only) the device stays on even after the ignition is off to provide impact and motion detection surveillance when you are away from your car. PC viewer screen along with the GPS information to help you trace your route and speed. Video play back, complete access to the device setting and GPS information with an integrated user interface for Windows only. Formatting memory card and updating firmware is also just a few clicks away. 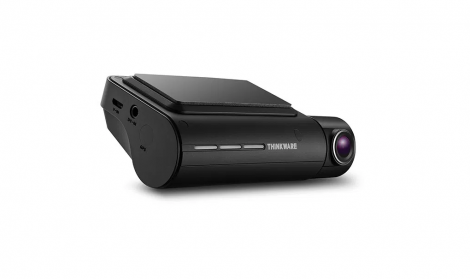 THINKWARE DASH CAMERAS PRICING REDUCED! The recent promotions been so good, we’ve decided to make them permanent! Stay protected on the road and save insurance by having a Thinkware DASHCAM installed.